Wheat: Whole Grain Health Hazard? Can a so called “health food” be bad-even, dare I say… unhealthy? Although once touted as a health standout, it’s appearing that the evidence against wheat is mounting quickly and powerfully. So let’s take a closer look. To claim wheat is unhealthy for most people requires some explanation for most folks to even consider it as a possibility. There are several reasons behind this criticism so I will try to give some detail while keeping it short and to the point. This review is based on chemistry, biological, cultural and anthropological points of view. I will try to cover the basics but leave the more complicated underlying biochemistry for another post. First things first. The wheat now commercially available is genetically modified. It is far removed from fifty years ago, is not even close to the “amber waves of grain” from 200 years ago and certainly not the same species as in biblical times (so stop right there if you were going to say, “but we have been eating wheat for thousands of years!” We were eating a completely different wheat for those thousands of years). Why? It’s actually pretty simple. In a noble and honest effort to make higher crop yields in response to the fear of overpopulation, scientists created a new (dwarf) wheat species that could hold bigger seeds and be planted closer together. It was tremendously successful in multiplying bushels per acre but came with an unknown price: some devastatingly enhanced disease properties. 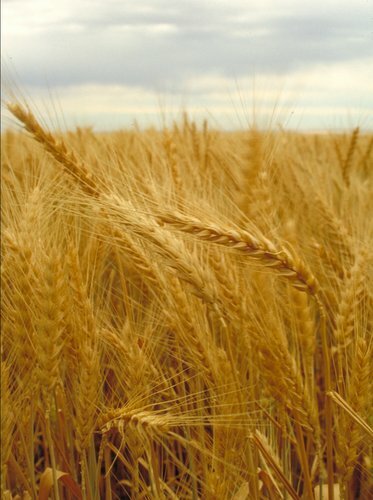 Wheat is also now subjected to radiation to prevent fungus growth and sodium azide is mixed in as well. Unfortunately, these scientists never stopped to ask what these changes do to the people or animals that eat this hybrid wheat. Unlike new medical drug creations which must be approved for safe use before being released, the new wheat was presumed to be OK and never tested. As a result of these changes to wheat, all of the minor health implications sustained from wheat consumption got a major enhancement. Think of it this way: wheat is now on steroids. The minor problems that were noticed with wheat consumption over the years were mediated through various preparation and cooking methods. Through soaking, sprouting and fermenting (sourdough) methods, many of the anti-nutrient properties of wheat were diminished. As many people know, now most wheat is heavily processed, stripped down, bleached and then infused with a few vitamins, even the so called “whole wheat.” The effort to mass produce wheat has taken the time tested, cultural treatments of this food out of the equation, leaving ourselves fully exposed to a problematic food. Think of a wild horse that hasn’t been trained. Unpredictable and potentially very dangerous. Wheat contains the “complex carbohydrate” amylopectin A, which is actually a very quickly digested starch by the body, including by saliva in the mouth. This means sugar gets into our bloodstream at an alarming rate, even faster than sugar. This might be good if you are in the middle of a bicycle race but not under normal circumstances. Whole grain wheat is broken down slower due to the fiber, but not much. Most other carbohydrate sources, such as potatoes, fruits, vegetables and even other grains, have different chemical formulations and subsequently take a little longer to digest. Wheat products as a whole have one of the highest glycemic indexes and loads of nearly all food types. Check out a glycemic index/load chart for reference. As a result, wheat’s blood sugar impact contributes heavily to many common health problems. Think obesity (particularly belly/visceral fat), diabetes, cardiovascular disease, hypo- and hyperglycemia, and even tooth decay. Gluten: the big villain these days. Formed by gliadin and glutenin, gluten is at the forefront of the food allergy awareness movement. Simply put, gluten can damage the lining of the small intestine. Subsequently, nutrients are not absorbed properly and unwanted proteins can enter the body, causing an immune response. Gluten sensitivity and intolerance is growing at an exponential rate and the subsequent health problems are skyrocketing. The end result of this intestinal sensitivity and degradation is Celiac Disease, where a person can end up hospitalized from a single exposure to gluten. Think of stomach upset, abdominal pain, bloating and diarrhea. All plants contain lectins to protect themselves. Some are problematic to humans and some less so. Wheat germ agglutinin is a severely problematic one. These lectins have the ability to unlock the barriers between cells in our intestinal walls which are responsible for monitoring what gets into our blood. The result of this breakdown is foreign proteins (that are typically kept out) entering into the body. This is one of the main pathways of allergies, immune response and inflammation in humans. Think food allergies, acne/eczema, and ulcerative colitis. Gliadin, when degraded in the body, crosses the brain barrier and binds to morphine and opiate receptors, which magnifies appetite and creates addictive properties. Wheat, especially flour, is also hyperpalatable and highly rewarding from the stimulating effect of dopamine release in the brain. This is where the cravings for bread, pasta and flour products are based. This is why people say, “Oh, I could never give up bread/cereal/pasta, etc.” They literally feel they can’t. Often we joke about being addicted to bread but it’s not a joke for many people. There is a chemical process underlying that feeling. They are addicted. And yes, if you don’t eat wheat you may have withdrawal symptoms. And think of how powerful the smell is from your favorite baked good. Wheat is one of the most notorious appetite enhancers in our food supply. Sugar is right there with it, but wheat (literally) takes the cake. Due to both the high insulin/blood sugar effect and the morphine binding of gliadin in the brain, eating wheat will make you hungry. This is one of the reasons people say/believe “But I need to eat every couple hours to feel good.” Also imagine what happens when you put sugar and wheat together. Think cereal, cookies, bread, pancakes, cake, etc. Through a number of mechanisms, wheat can lead to water retention. Mostly in the abdominal area and limbs, the body tends to hold onto more water with consistent wheat ingestion. Think puffy abs, swollen legs and fingers with “tighter than usual” rings. One of the scariest aspects of wheat is the contribution (some say causation) to autoimmune conditions. Mostly due to the the intestinal degrading covered above, inflammation typically runs higher in wheat eaters. If the body is already perpetually in an immune reactive state, such as arthritis, any stimulation of the immune system will magnify the problem. Think Rheumatoid Arthritis, Hashimoto’s Thyroiditis, and Lupus. Wheat lectins also negatively impact the body’s energy regulation and storage. By the process of binding to leptin sensors, wheat may disrupt the signal from our body’s fat storage system to the brain saying it has enough stored bodyfat (this means your brain thinks it needs to store more fat). Lectins can also bind to insulin receptors, interfering with the delivery of glucose to your tissues. Wheat contains anti-nutrient substances called phytates. Phytic acid binds to minerals, meaning your body does NOT get those minerals. Think calcium deficiency and bone health, magnesium and constipation, and zinc and the common cold. Obesity, Heart Disease, Diabetes, Cancer, Arthritis, Rheumatoid Arthritis, Irritable Bowel Syndrome, Crohns Disease, Lupus, Autism/Sensory Deprivation Disorders, ADD/ADHD, abdominal bloating/gas, constipation/diarrhea, headaches/migraines, gout, acid reflux, Celiac Disease, acne, eczema, gall bladder problems, Hashimoto’s Thyroiditis, Herpes, Multiple Sclerosis, Psoriasis, Restless Leg Syndrome, Ulcerative Colitis, PCOS, Chronic Fatigue Syndrome, Anemia, sleep problems, hormonal disregulation, osteoporosis, infertility, depression/anxiety/mood swings, menstrual problems, brain fog, memory problems, joint pain/aches, Fibromyalgia, Alzheimers/Dementia and chronic infectious disease. So after all that, you can see why eating wheat gives me pause. Now, I must add that some people are very insulin sensitive and tolerant to some of wheat’s proteins. If that’s the case, they can count their blessings. Wheat intolerance is a very individualized thing. But most people are at least slightly or moderately impacted by it and should be aware of the potential health hazards of healthy whole grain wheat. Can most of these people eat wheat occasionally? Sure. But everyone that I have come across that has eliminated or limited wheat feels better. Maybe that’s proof enough. For me it certainly was. I didn’t think I felt bad when I was eating wheat but I know I feel better when I don’t eat it. And I am certainly not hungry all the time like I used to be. Big plus. 1. Wheat is now an altered species and is no longer properly prepared to minimize the potential adverse effects. 2. The fast digesting carbohydrates are very problematic to nearly everyone. 3. The proteins in wheat stimulate appetite, form addictions, create inflammation and bind to minerals. 4. There’s nothing in wheat you can’t get more of through other foods, particularly vegetables. 5. Nearly everyone feels better and loses weight when they remove wheat. If you want to see the personal effect of wheat (particularly if you have ANY health problems) consider going wheat free, even if it’s for a month, or even just a week. You only have potentially greater health to gain. Thanks for reading, have a great “wheat free” week! There is also a great new book out that goes into wheat in major detail, Wheat Belly, check out Dr. William Davis’ site Track Your Plaque. If you are interested in more info on gluten sensitivity/intolerance check out Dr. Tom O’Bryan’s site TheDr.com The Dr.. I have eliminated wheat for a week now and I am pleased to say I have far more energy and mental clarity. That’s great to hear- literally everyone I know that has limited or eliminated wheat feels better. Ahhh The Dude has to be corrected. Oye. Idiot.Obviously gltuen free bread as you know is free of wheat, rye, oats and barley but is still BREAD! Here’s my suggestion: (I m a lazy baker so I dont bake my own GF bread, so I m passing on info I’ve gotten from other Celiacs. )That is a great yahoo health group and they had a sort of academy awards for GF products. I looked but couldnt find the file, but they voted on best bread machine. Join the group, post a question (ask for Joy, she ran the awards) and ask their thoughts on bread machines.I have heard good things from Celiacs about the Cuisnart one and the Sunbeam!I personally buy all m y bread premade! Im a preg mother of a 2 yr old, no time to bake from scratch! That’s all we can try to do: be informed. I hope you feel some positive changes! Since my gluten-free regemin began after diagnosis for intolerance ; I’ve sought nutritional direction and assistance with finding a new path for cooking. However, baking has never been high on my list of favorites, mostly because my own consumption of wheat flour-based desserts was never enjoyable and their creation just as unsatisfying. In this book, the ingredients, steps, methods and results are all TOP NOTCH. Great attention and just-enough explanation has helped me create very delectable cakes and pies that I would have never bothered attempting before. As with most recipe books, the paperback version is void of helpful photos. However, it has given my family and friends another glance into the challenges of eating gluten-free; it’s great for sharing recipes with those who’d cook for those with intolerances/allergies. Its such a great thing which to claim wheat is unhealthy for most people requires some explanation for most folks. There are several reasons behind this criticism so I will try to give some detail while keeping it short and to the point. Thanks for posting this article. Thanks. It’s nice that more people are becoming aware of the potential benefits to limiting or eliminating wheat. There certainly are many details to this discussion but the general rule is everyone I know feels better when they don’t eat it.